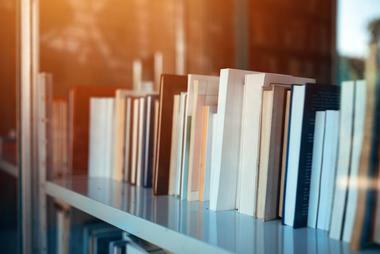 Literary festivals all over the United States offer opportunities for readers to meet their favorite authors, to hear what they have to say, and learn about their new projects. Most festivals are free of charge and include various programs such as contests, debates, film festivals, book fairs, kids’ activities and book signings. 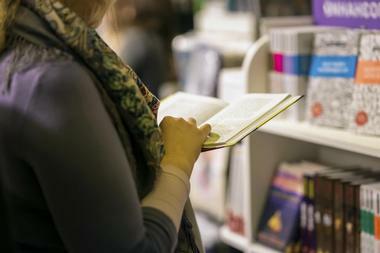 The Boston Book Festival is a free annual book festival organized by the same-name nonprofit group founded in 2009 in order to promote a culture of reading. The festival is held in October in Boston's Back Bay. Speaker presentations are held in the Boston Public Library, Old South Church, Church of the Covenant, Trinity Church, Back Bay Events Center, and other locations. The street festival is held on Copley Square and features live music, book vendors, and exhibitors and many activities for festival participants and their families. There are programs and activities for children, writing contests and workshops, open mic, and more. The book festival is a culmination of a year-long range of literary events such as literary outings, readings, cookbook author demos, literary pub trivia nights, and more. Established in 2015, the Bay Area Book Festival is one of the world’s major literary events and is held annually for two days in Berkeley, California. It includes literary sessions that present top authors from the region, the States, and the world, as well an outdoor fair with a huge number of literary exhibitors. There are also events for kids, popular writing contests, and even a mini film festival, presenting ten films on literature organized with the Berkeley Art Museum and Pacific Film Archive. For two days, the festival converts lively downtown Berkeley into a literary heaven in which readers, writers, thinkers, and creators of all ages and interests can meet kindred spirits. A program of Aspen Words and Aspen Institute, Summer Words is one of the country’s most respected literary festivals and writing conferences. It is an annual six-day event held in Aspen, Colorado. 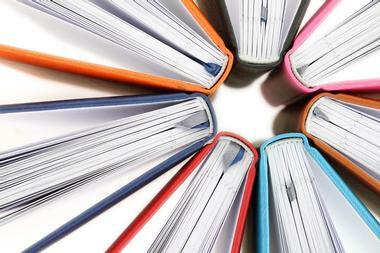 Authors are able to attend advanced workshops with renowned authors to develop a manuscript, or introductory workshops in order to improve the craft of writing. They can meet editors and literary agents and attend public panel discussions to gain inspiration and insight. Evenings are reserved for receptions, readings, and the Aspen Words Annual Bene?t Dinner, which always features a special guest author. The Books by the Banks Cincinnati is an annual regional book festival held in downtown Cincinnati at Duke Energy Center. 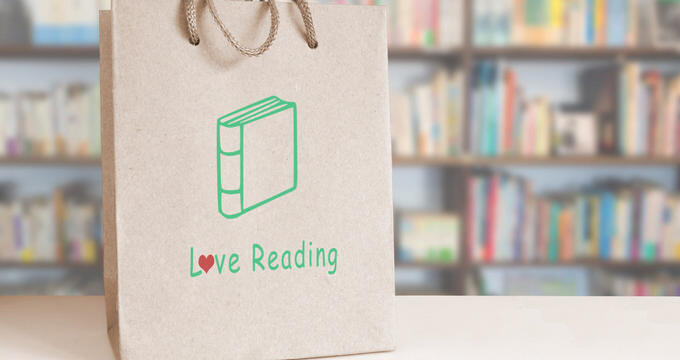 This day-long festival is a premier event of the Books by the Banks non-profit organization, which works on enriching the lives of folks in Northern Kentucky and Southwest Ohio. The festival is free and open to everyone. 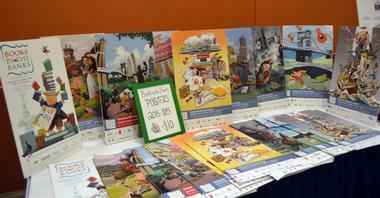 It features local, regional, and national authors and book illustrators, panel discussions, book signings, and more. Readers can meet their favorite writers and ask them questions, buy books, and get them signed, while writers can meet publishers and other writers and get pointers on being published. The Kiddy Corner offers a range of activities and gives kids a chance to meet their favorite writers and book characters. 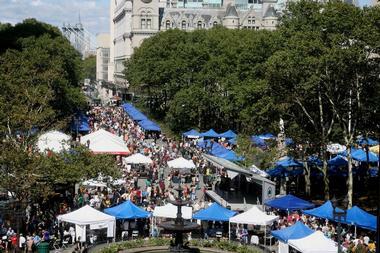 The Brooklyn Book Festival is a book fair held every year in the fall in Brooklyn, New York. The festival was established in 2006 in order to represent the "Brooklyn voice" in literature, but has expanded its scope to include many non-Brooklyn and international writers. The festival includes a range of activities such as book readings, panel discussions, author signings, book selling, a children's day, Bookend Events, parties, stand-up shows, and performances in many public venues in Brooklyn. During the festival, St. Francis College announces the winner of a biannual literary prize aimed at supporting a mid-career writer, which is worth US$50,000. Decatur Book Festival is the biggest independent book festival in the States and is held every year on Labor Day weekend at Decatur Square in Decatur near Atlanta. The popular festival attracts thousands of participants – writers and book lovers – who come to the beautiful historic square for author readings, book signings, panel discussions, writing workshops, live music, children's activities, parades, cooking demonstrations, poetry slams, and more. The festival was established in 2005 to celebrate the written and spoken word and to encourage a love of reading and writing for people of all ages and from all walks of life. 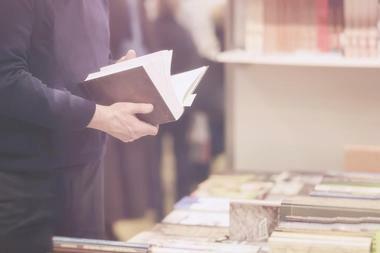 Between the annual festivals, the organization behind the festival hosts a series of literary and fund-raising events in order to promote the literary community. Key West Literary Seminar is a four-day annual event that explores a different literary theme each January. Readers and writers from all over the world are invited to Key West to enjoy presentations by some of the most respected writers of our time. This year, the seminar is titled “Under the Influence: Archetype and Adaptation from Homer to the Multiplex,” and explores the literary influence from Shakespeare, Homer, and African folktales to early 20th century novels and comic-book heroes. The seminar is the flagship program of a same-name organization that also offers year-around activities, such as the Writers’ Workshop Program, a scholarship program, the Young Writers Studio, and a literary walking tour. Recordings spanning the 30 years of the seminar are available in their audio archive. Littoral, their online journal, documents Key West’s rich literary history through essays, news, photographs, and other resources. What started in 1999 as an afternoon of readings at the Edinburgh Castle pub in Golden Gate Park grew to include the wider Bay Area literary scene and in 2002 became Litquake, a nine-day festival with national and international authors, youth programs, classroom visits, book giveaways, renowned authors talks, poetry readings, storytelling nights, interactive workshops, and much more held at the different venues all over the city. It all ends on the closing night with the traditional Lit Crawl roving party through the Mission. 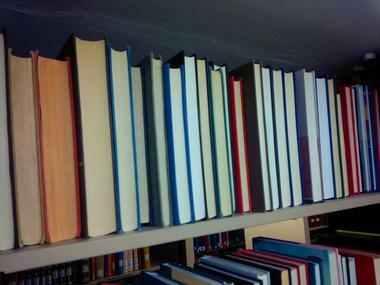 Localized editions of the Lit Crawl are held every year in various cities around the world. Litquake is organized by the nonprofit Litquake Foundation. 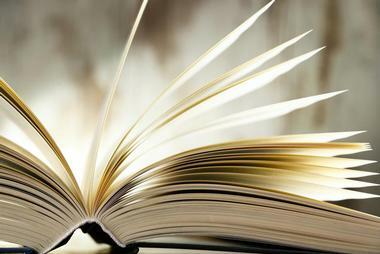 The Los Angeles Times Festival of Books is a free-admission annual public book festival. The two-day event, held in April at the University of Southern California in Los Angeles, is the biggest book festival in the USA. 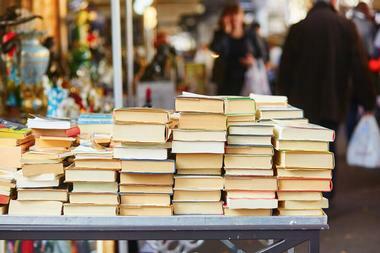 Established in 1996, the festival brings together authors, book vendors, and publishers. It includes panels with authors discussing a common theme, storytelling and performances for children, as well as the Los Angeles Times Book Prizes. The Festival of Books has grown to become an essential element of the L.A. cultural scene and one of the most significant literary events in the United States. It attracts over 150,000 participants. The festival includes great entertainment on the USC Stage near Tommy Trojan, lively discussions with renowned university faculty and other experts at the USC Ideas and Actions in Wallis Annenberg Hall, family programs, book giveaways, and even health screenings at the USC Communities Tent and the USC Health Pavilion. Young or old, lovers of poetry or those who want to learn to cook some original Louisiana dishes, the Louisiana Book Festival attracts all book lovers. Every year in November, for one day, Baton Rouge hosts the largest book festival in Louisiana, a world-class literary celebration that is open and free for everyone. Held at the various locations in downtown Baton Rouge, this event is a great opportunity for exhibitors such as authors, booksellers, publishing houses, and scholarly programs to promote their products and services to thousands of festival participants. 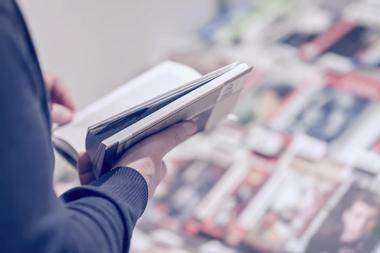 The festival is also a unique opportunity for booklovers to meet exceptional writers and storytellers and to take part in a variety of book-related activities and exhibitions. The festival, established in 2002, is sponsored by the Louisiana Center for the Book and the State Library of Louisiana. The National Book Festival is a public literary event held every year in September at the Washington Convention Centre. It was founded in 2001 by Laura Bush and the Librarian of Congress James H. Billington. The festival brings together authors and readers, features panels, book talks, autograph sessions, and more. Events focus on promoting literacy and range from authors’ readings from children's books and kid's workshops to deeper analyses of the classics and debates on contemporary poetry and prose. The festival brings together literature's best and brightest and is a major opportunity for the participants to hear from renowned authors. National Cowboy Poetry Gathering is an annual six-day event being held at the Western Folklife Center in Elko, USA. The event, which was previously known as Elko Cowboy Poetry Gathering, is produced by the Western Folklife Center in Elko, Nevada, organized by a team of folklorists and local cowboy poets and funded by the National Endowment for the Arts. The Elko Cowboy Poetry Gathering was first held in 1985 as a gathering of Western cowboys and ranchers, during which they shared poems about their lives working with cattle. Today, the event also presents such activities and workshops as hat making, a cooking workshop, A Gathering of Masters: Leather Carving, Photography from the Field, Two-Step Basics, Poetic Knee-Steerings, Bones Workshop, Jump Up and Jitterbug, Old-Time Ranch Dances, and Rodeo Swing. 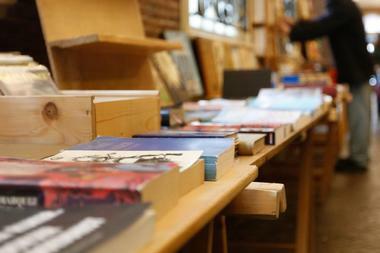 Portland Book Festival is the largest literary festival in the Pacific Northwest. During this one-day event held at the Portland’s Southwest Park Blocks and at the Portland Art Museum, local and national writers present their work on stage and during pop-up readings and workshops. There are activities for readers of all ages and interests, writing workshops, a large book fair, food from local food trucks, visit to the Portland Art Museum galleries, and much more. Some of the festival events take place at such venues as the First Congregational United Church of Christ, the Old Church, Oregon Historical Society, and others. The Printer's Row Lit Fest is the biggest outdoor free literary event in the Midwest. Held on Chicago’s Dearborn and Polk Street between Harrison and Polk, the two-day annual festival attracts over 125,000 book lovers every year. Originally called Printers Row Book Fair, the festival was founded in 1985 by the Near South Planning Board. Its goal was to attract visitors to the Printers Row neighborhood, which was once the hub of the city’s book printing industry. The festival quickly grew to occupy five city blocks, with more than 200 booksellers from all over the country. They were selling new, used, and antiquarian books, and had over 100 free literary programs on seven stages. The Chicago Tribune bought the book fair in 2002 and renamed it the Printers Row Lit Fest. The Saints & Sinners Literary Festival brings together renowned LGBTQ authors, activists, publishers, and emerging writers from across the country. The annual three-day event held in New Orleans’ French Quarter explores a wide range of topics that affect the world of writing and art. The festival plays a key role in promoting LGBT writers, social justice for the LGBT community, and in general keeping the written word alive. The festival was founded in 2002 by Paul J. Willis in order to disseminate information about HIV and AIDS in literature. Today, the festival provides an important forum for the exchange of ideas and for the promotion of writers and publishers who have successfully brought to the forefront the issues facing LGBT individuals. The Savannah Book Festival is an annual literary festival held in Savannah, Georgia. The festival celebrates national and local authors through a series of free public events that feature author presentations in seven different venues in historic downtown Savannah. The Savannah Book Festival provides the participants with the opportunity to meet their favorite authors from across the country. It also offers an opportunity for bestselling authors of popular fiction and non-fiction, as well as lifestyle experts, historians and other renowned authors and writers, to present their work to booklovers eager to meet them and hear what they have to say. Every year, the festival attracts the biggest names in the American literature such as Stephen King, David Baldacci, James Patterson, and Al Gore. The Tennessee Williams/New Orleans Literary Festival is held every year in March at different venues in New Orleans. The five-day event is a celebration of the works of Tennessee Williams, who considered New Orleans his spiritual home, as well as contemporary literature, theater, and culture. Participants have the opportunity to hear award-winning speakers as well as new voices on the American literary scene. The festival events include panel discussions, master classes, theater, celebrity interviews, food, music events, a breakfast book club, a scholars conference, literary and LGBT walking tours of the French Quarter, a large book fair, and special evening parties, events, and social gatherings. 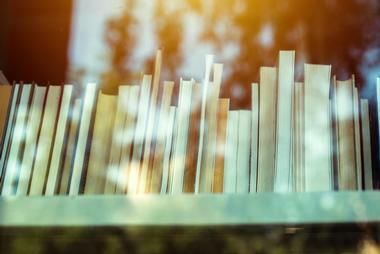 The Texas Book Festival is an annual free book fair held every fall in Austin, Texas. It is considered one of the major book festivals in the States. The festival was established by Laura Bush and Mary Margaret Farabee in 1995 in order to benefit the state's public library system, to honor Texas authors, and to promote the pleasure of reading. The festival’s current, greatly expanded, focus is on nationally known authors and it attracts major bestselling writers and award-winners. 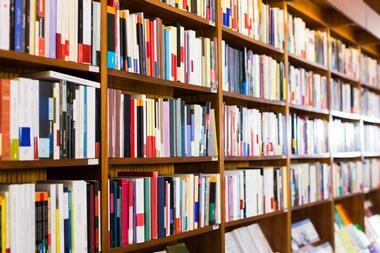 It hosts more than 250 authors every year and attracts over 40,000 attendees. Every year, the festival honors one writer for outstanding contribution to the literature of Texas with the "Bookend Award". The festival events include author readings, book signings, presentations, panel discussions, cooking demonstrations, local food, live music, book vendors, children's activities, and much more. 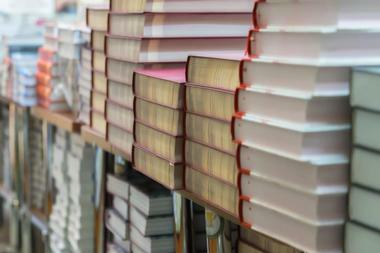 The Miami Book Fair is a literary festival organized by Miami Dade College. This week-long annual event brings to Miami more than 300 renowned national and international authors to a celebration of literature. The festival includes six nights of readings followed by discussions with celebrated authors from the US and around the world. There are pavilions for comics, translations, children, and young adults. The one-day Street Fair includes the Festival of Authors, with over 450 writers reading their work, Children’s Alley activities, arts and crafts, theater, storytelling, readings by popular children’s book authors, comics and graphic novels, and much more. Over 250 publishers and booksellers come to exhibit and sell books, new and antiquarian, original manuscripts, signed first editions, and other collectibles. The Pebble Beach Authors & Ideas Festival is an annual book festival organized by the Carmel Ideas Foundation. 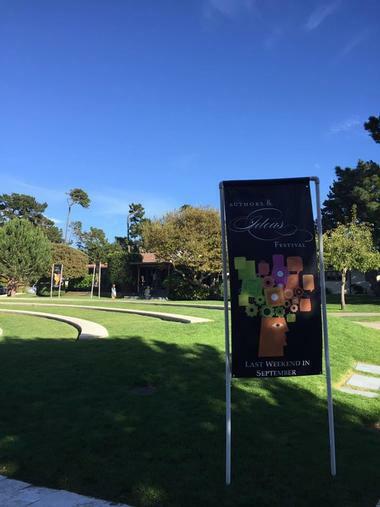 The three-day long event is held in September at Stevenson School in Pebble Beach, California, and it hosts over 30 award-winning authors and speakers such as Pulitzer and Nobel Prize winners, authors of New York Times bestsellers, and winners of other prestigious literary awards and today’s most admired minds, such as former Secretary of State Condoleezza Rice, author Carl Hiaasen, marine archaeologist Bob Ballard, columnist Dave Barry, and others. 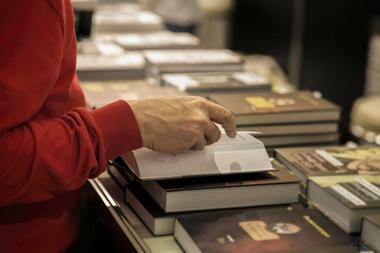 The festival is organized into a series of presentations followed by discussions on diverse contemporary topics as well as book-signings in local book stores. The Tucson Festival of Books is a three-day long free annual book fair held in Tucson, Arizona, at the University of Arizona Mall. The festival was established in 2009 with the mission to improve Southern Arizona literacy rates among children and adults. The event includes panels by bestselling and new authors, special programs for children and teens, a literary circus, a poetry venue, culturally diverse programs, two food courts, and individual exhibitor booths. 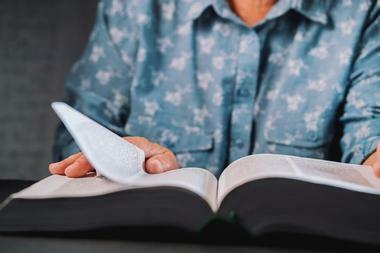 Since its formation, the festival has donated more than $1.65 million to those agencies that significantly improve literacy in the Arizona community, such as University of Arizona Literacy Outreach Programs, Reading Seed, and Literacy Connects. The Virginia Festival of the Book is a five-day long annual community-based event held in Charlottesville in the month of March. 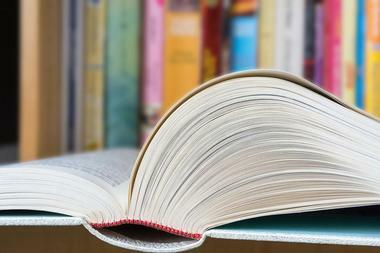 The festival, the largest book event in the Mid-Atlantic region, brings together authors and readers in order to celebrate books, literacy, reading, and literary culture. It is produced by the Virginia Humanities Council and is a program of the Virginia Center for the Book, which is affiliated to the Center for the Book in the Library of Congress. Every year, the festival attracts over 20,000 participants from more than 30 states and it presents an impressive list of authors, from international bestsellers to specialists on various topics and debut authors. Major festival programs offer discussions on significant current issues. The festival offers more than 250 programs and most of them are free. 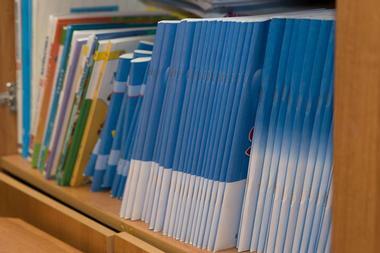 The programs include book discussions for every reader level and in every genre. 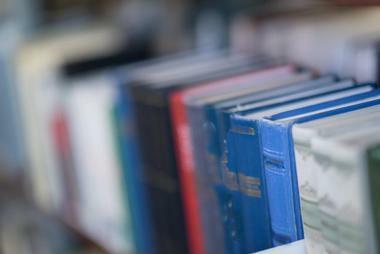 The Wisconsin Book Festival lasts four days and is Wisconsin's main literary event. 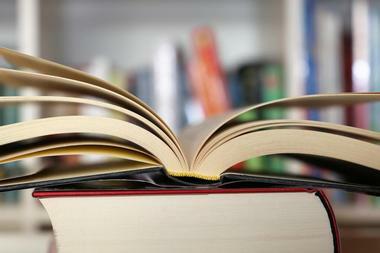 It is held every fall at the Madison Public Library, drawing a local and regional audience of almost 15,000 people. The festival offers attendees opportunities to meet their favorite authors, discover new books, and have books signed. Established in 2002, the Wisconsin Book Festival has brought thousands of nationally acclaimed and local authors to Madison, with the goal to encourage reading, writing, discussion, and the exchange of ideas. Since 2013, the festival has been being organized by Madison Public Library in partnership with Madison Public Library Foundation. All festival events are open to the public and are free of charge.